My Mom's brother, Uncle Robert, died this week. 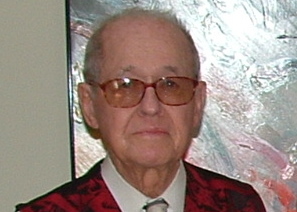 He was almost 90 years young and had Parkinson's and Alzheimer's. They said he died peacefully. His last days were spent at the VA Medical Center in Prescott, Arizona and his ashes will be spread in the National Cemetery there. I began thinking of snippets of memories of his life. I didn't know him very well as he always lived afar. As a young man, he enlisted in the Army during WWII. Nothing unusual about that as that was what one did during that time in history. He saw combat in Europe. My Mom told the story of one of his foxhole mates being shot as Uncle Robert lay beside him and prayed for his own life. I am sure there are many people alive today who heard stories about such from their parents. My Mom said the war changed my uncle and not for the better. Somehow, during his war service, he became a cook. He grew up on a dairy farm where there was lots of home cooking, so I suppose that's where he got the idea of cooking. He became an Army career man and somewhere along the way he learned to bake. He married a young woman from Armenia whom he met while in Europe. They moved back to the states and had one son, Jack. He got a job as a baker in a fancy Miami Beach hotel. That marriage didn't last, but he married again. He moved across the continent to Nevada and married Blanca, whom we adored, and who was his wife for over 40 years at the time of his death. 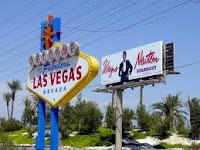 My details are sketchy, but he ended up in Las Vegas with a job as a Pastry Chef at the Stardust Hotel. His claim to fame was that he baked at least two wedding cakes for Wayne Newton. He said that Mr. Newton was a good guy, but couldn't keep a wife. I remember being told this story at a very young age. I was so impressed about the wedding cakes. There may have been some pictures, but they have been lost. The Stardust was demolished in 2007, but I can imagine it was a grand place at one time. Uncle Robert and Blanca did visit Louisiana and his birthplace of Greensburg occasionally. Once I cooked a meal for them when they came to Baton Rouge. It was thirty years ago, but I remember it very plainly. I served them Shrimp Creole and corn muffins. The dessert was Pecan Pie. They thought I was a pretty good cook. On that visit he shared his famous cheesecake recipe with me. Of course it was for about 6 cheesecakes and I had to cut it down quite a bit to bake for my family. In retirement, Uncle Robert and Blanca moved to Prescott, Arizona. My brother, Mackie, and his wife, Karen, accompanied my Mom to visit them a few years ago. He was somewhat of a celebrity in Prescott. He treated his visitors to meals at restaurants and the waitresses knew him by name. My Mom was so impressed. She said that he lived the "Big Life" and enjoyed it! The picture shows my Mom, Karen, Uncle Robert and Blanca. He was very generous and sent us a Christmas card yearly. When we didn't hear from them this year, we knew something was wrong. When our daughter was married in 2006 he and Blanca sent a beautiful gift of brightly colored bath towels and table linens. Odd, how such details are remembered. I think the cards and the gifts signified a desire to remain in touch and part of the family even though miles separated us. 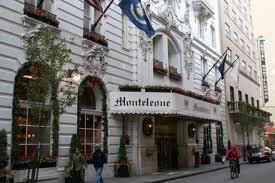 As a young man, he loved to stay at the Hotel Monteleone in New Orleans. This hotel has undergone a renovation to restore it to its former glamorous state and I was sorry that it was under renovation during his last stay there. Each time that Uncle Robert visited Louisiana he made a Monteleone stop. It was his Louisiana headquarters. I think it is wonderful that he was able to revisit and relive some great memories of his youth. I hope he got to sit at the Carousel Bar on that last visit. The last time he came to Louisiana my Mom declined a visit from him. In her very structured life, she told him that she had to "have her hair fixed" that day. I have often thought that was such a loss of opportunity. I guess she thought they would live forever and there would be other opportunities. But that was not to be as she preceded him in death by four months. -Beat together: 2 pounds of cream cheese, 4 cups of sugar, and several spoons of vanilla. -Add 16 eggs, one at a time. -Stir in 6 cups of sour cream. -Pour all into pans lined with graham cracker crumbs and bake at 325 degrees for 40 minutes or until center is set. -Top each cheesecake with about 1 cup of sour cream that has been combined with a little sugar. Thanks Dot, I loved today's blog about Uncle Robert. It's a story of such memories, values, and opportunities realized and lost. His Cheesecake Recipe reminds me of so many of my mother's, ie. "several spoons of vanilla," "or until center is set," and "combined with a little sugar." Great memories only topped by even better writing! Thanks for reading and for your sweet comment. Enjoyed this very much, Dot! I recently learned that Uncle Robert also attended baking classes in Chicago and Washington D.C. where he baked for the White House in the 50's.